It would have been very Wednesday to follow up an excellent win over Preston North End by dropping points against a struggling Black Cats side, but despite a couple of scares, Jos Luhukay’s lads got the job done in the North East as Atdhe Nuhiu played a starring role once again. Wednesday have now won three games on the bounce for the first time in a year – we won six in a row last April – and are up to 16th in the Championship with six games left to play. A 13-point lead over Barnsley in 22nd is healthy, and it could be said that the end of this campaign could be seen as an extended preseason. Wednesday were outpassed. Sunderland made more total passes (402/377), had a higher pass completion (82%/79%) and made more than double the amount of key passes (15/6), but it was Jos Luhukay’s side that made the most of the chances that they created. Chris Coleman’s side had 53% of possession over the course of the game. It will come as no surprise that the man bossing the midfield for the Owls was Barry Bannan. It’s been brilliant having him back in the mix, and he finished the game having made more passes (55) and more accurate passes (47) than any other Wednesday player. Credit also has to go to Adam Reach, a player who made more key passes than all of his Wednesday teammates, and also had an impressive pass completion ratio of 86%. Joel Pelupessy did even better, misplacing just one of his 31 passes to finish with a 97% pass completion. The highest of any player that that more than 15 minutes. He also set up Tom Lees with a beauty of a freekick. As you might expect given the aforementioned passing and possession stats, Sunderland also created many more opportunities than Wednesday. Aiden McGeady alone had seven shots (Wednesday had eight in total) and they will be disappointed by the fact that they only scored once from their 21 attempts. Only seven were on target, while five of the Owls’ eight forced a save. Nuhiu and Joao had four shots between them, with only one off target, and both managed to get on the scoresheet on the way to victory. The former set up the latter for the opener, before the roles were reversed when Nuhiu got on the end of a rebound after Joao’s effort was saved. The Kosovan, who now has five goals in his last three games, was a beast in the air, winning 17 of his 19 aerial challenges – an aerial success of 94% – scoring one header and assisting with another. He was also involved in Lees’ goal because so many Sunderland defenders were keeping an eye on him. Meanwhile, Reach, Joao and Nuhiu were the Owls’ most successful when it came to dribbles, completing three each, a tally only bettered by McGeady (7) and Lynden Gooch (4). Tom Lees not only did the business in the opposition end, but he – alongside Jordan Thorniley and Federico Venancio – played a massive role in helping Wednesday stay firm defensively. No player on the field made more clearances than the former Leeds United defender (10), and he was closely followed by his two central partners on seven each. Thorniley made more tackles than all of his teammates (5), and along with Venancio, had a 100% tackle success rate over the course of the game. The three of them managed to block six shots from the opposition, meaning that Joe Wildsmith had only six saves to make. It wasn’t a vintage performance by any means, but it is nice to see the team being clinical and scoring from different places. Joao joined Reach, Hooper and Nuhiu on the list of players to have directly contributed (goals and assists) to 10+ goals this season, and recently results, this one included, do seem to suggest that a fully fit Owls team can make a promotion push once again. It’s hard to find many negatives after scoring 11 goals in five games in the Championship, and the nature of the goals has been really pleasing too. 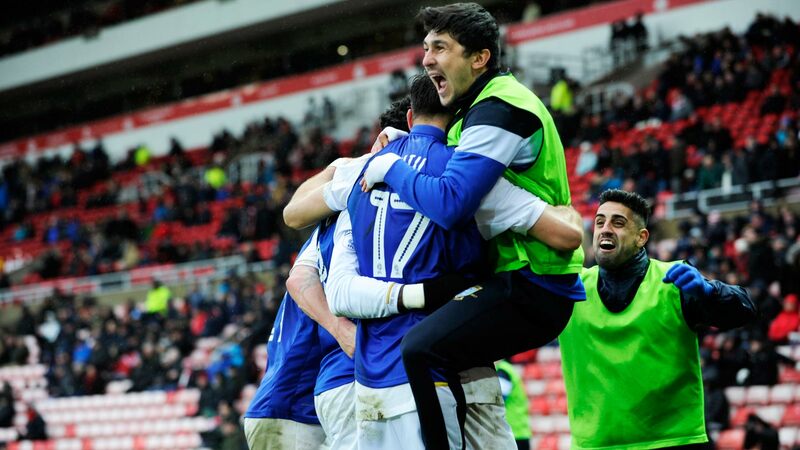 Oh, and having Fernando Forestieri come on twice in the space of a few days is exciting too.